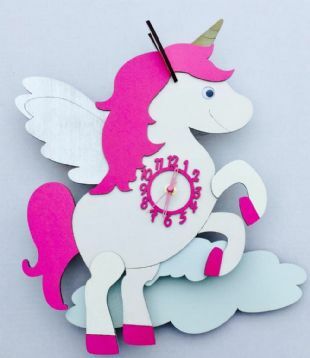 Hand crafted wooden Unicorn clock with a swinging cloud pendulum. Uses silent systems which will not keep a child awake at night! 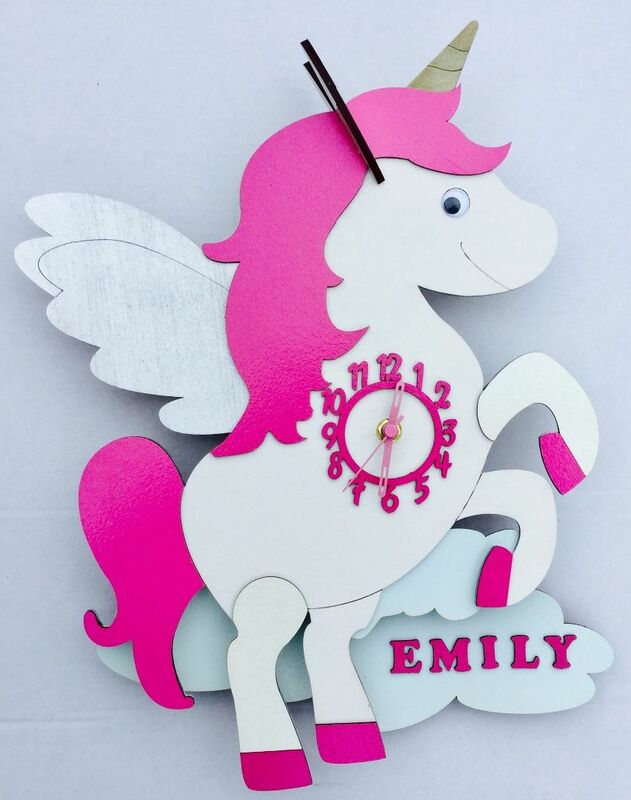 As the clocks are hand made with wood and hand stained with paint, each is individual so please allow for colour shade variations.